I know the pink & red color blocking is all over the place right now. I saw this dress walking through Nordstrom this week though and think it would be a great look for my night out with the husb tonight. I'm contemplating swinging by after work and grabbing it. A crisp white blazer would make the dress pop and just load up the accessories with gold bling. I can't even describe to you how obsessed I am with this kitchen. OMG, you had to see my face when I scrolled down to that pink table and red chairs. I think my eyes popped out of my head! (in a good way). I love it and it's so unexpected! I lovelovelove that LRD (Little Red Dress) -- So adorable! 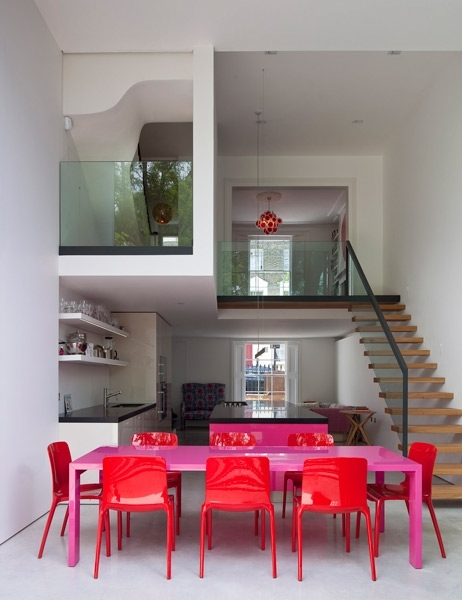 I can't believe that I love the pink table and red chairs, but it looks super cute together. 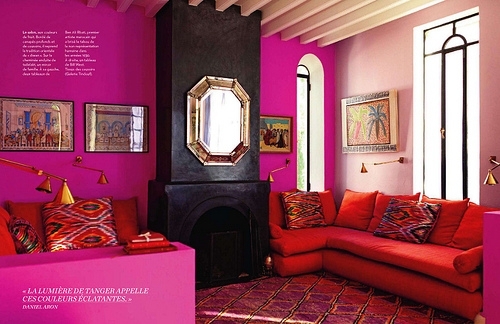 I am obsessed with the room that has the pink table and red chairs! Would love to have a dining room like that. Your gold, white, and red outfit combo is great! Loving these images...pinning them now!